North Korea will by next year have developed a downsized nuclear warhead that can be attached to ballistic missiles and fired onto the U.S. mainland, a senior U.S. strategist predicted this week. The rogue state will continue experimenting with intercontinental ballistic missiles that put the U.S. within striking distance until it succeeds in 2012, said Larry Niksch, a senior associate at the Center for Strategic and International Studies. His prediction came during a seminar on North Korean affairs hosted by the Korea Economic Institute in Washington D.C. on Wednesday. It was reported by the Voice of America on Thursday. Niksch said that if Pyongyang secures the appropriate technology, it will never abandon its nuclear program, thereby rendering the six-party talks aimed at denuclearizing the country ineffective. He said the U.S. needs to fundamentally rework its policies regarding the North's nuclear weapons programs in order to make progress. He went on to say that the U.S. strategy of trading denuclearization for the prospect of establishing diplomatic ties with Washington will continue to depreciate in value as the North becomes stronger militarily. 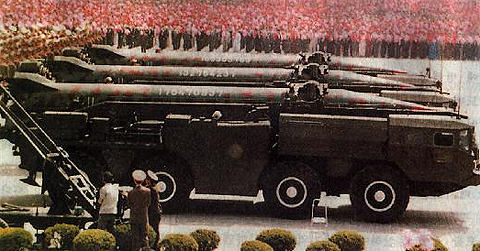 Niksch envisaged a future scenario in which the U.S. would need to station an ambassador in the North Korean capital to manage the nuclear weapon risks in the Korean Peninsula. At the same time, the U.S. would be compelled to recognize the communist state as a de facto nuclear power.